Anago is available year-round, but best in the summer time, especially from June to mid-July when they reach three feet in length and are at their fattest. It is a classic Edomae-zushi topping that announces the arrival of the rainy season (June) in the Tokyo region. 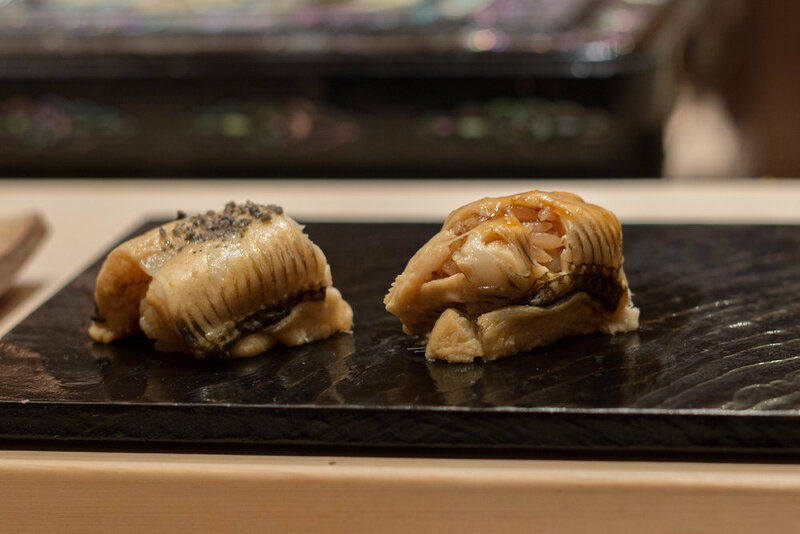 Anago is simmered in shōyu and sake, and is best served warm and brushed with a tsumé reduction. The fish's white meat is high in fat content and full of savory flavors. Texturally, it is very soft and easily dissolves in the mouth.